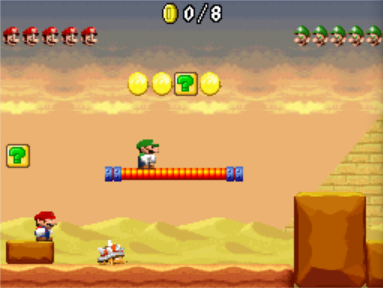 The NSMB Hacking Domain » New Super Mario Bros. 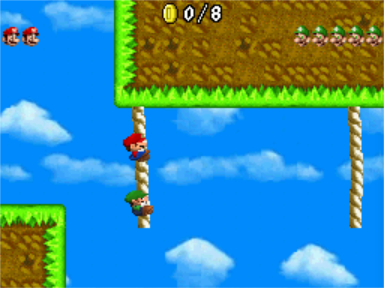 Beta Replica "Co-Op"
New Super Mario Bros. 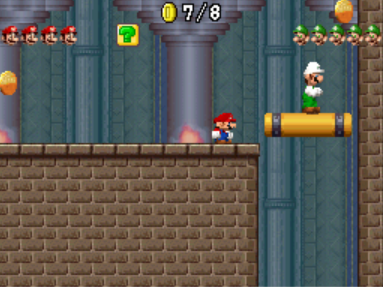 Beta Replica "Co-Op"
Yes, this is a NSMB Replica for Mario Vs Luigi mode. - Various desync issues still (often happens when players are far away from each other). 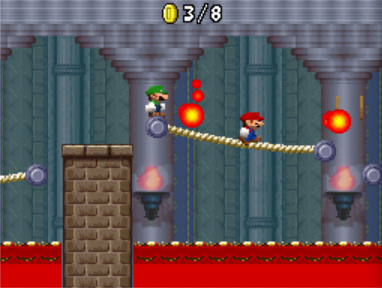 - You must not leave the Boss Fight as it will crash if you play on another level without restarting the game. - New Custom Title Screen Added! - Added Quicksand to the Desert Level! - Dirbaio (Use of his no sprite limitation ASM hack, which can be found here). Sorry if this is a stupid question but why question marks? Can any ROM be used or do you not know? 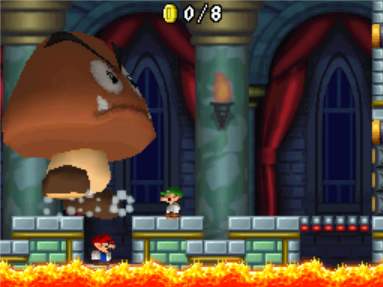 This hack was based off another NSMB Beta Replica but i can't remember the name of its original creator so i put a ????? in the "Special Thanks" section. I think the hack you're talking about is Ambiance 69's alpha replica. My hack is based off a beta replica and not an alpha replica; i'm 90% percent sure i used Hiccup's hack as base/or used some elements of it so i will give the credit to him. Hiccup's hack doesn't have custom graphics tho. it does have the same filename and same title screen as mine, and it was made by Hiccup and MarioFanatic64. I tried patching the xdelta to every dumped version of New Super Mario Bros. All the ROMs were good dumps and decrypted. What ROM are you using? You should really use a commonly available one (e.g. a good, decrypted one) and say what you are using. I used a clean rom taken from my Old DSi Flashcard to create the patch, but the rom of the hack itself i can't really remember because i started creating the hack in November 2016.. But are you having trouble in patching the xdelta anyways? Yeah, I forgot to say - the patch wasn't compatible. You are going to have to remake the mod based on proper ROM (copy across non-ASM files and re-do ASM hacks) if you want people to be able to play this. 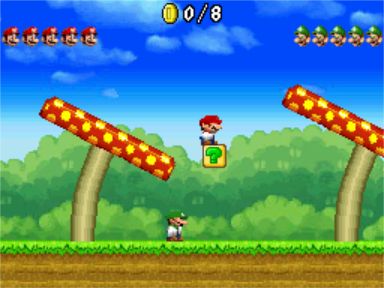 It IS based of a clean rom as some people have been able to test it. How do i calculate the checksum? Also, the xdelta patch is working for me.. The nmp patch won't work, as it is not compatible with ASM hacks. To Hiccup: The rom he used is either new-super-mario-bros-us-psyds (the name might not be 100% accurate) or New Super Mario Bros. (U) (Psyfer). Thanks for telling me about the .nmp patch i will remove it right now, and did you manage to patch it poudlink? or you didn't even tried?